All of our lawyers are members of both the Law Society of Upper Canada and the Ontario Trial Lawyers' Association. Over the years, we have been able to differentiate ourselves by utilizing our extensive experience, personalized care and aggressive approach. We are committed at all times to delivering superior results and we work very hard to ensure that you and your family successfully navigate the litigation process. Call us toll-free at 1-800-JUSTICE® or fill out our Online Case Evaluation form. You will speak to an experienced personal injury lawyer who will provide straight forward answers to your complex questions. Call us now and remember, there is never a fee unless we recover money for you! 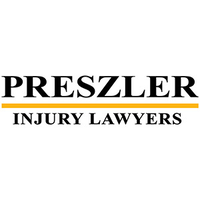 Are you the owner of Preszler Law Firm?